The Pursuit of Ivy George: The pursuit of...a good nights sleep! I love my bed! Don't we all?! I hear you say....well, I really, really love my bed. I could easily while away a few hours underneath my nice crisp sheets and warm duvet and just snuggle in the 'foetus' position! It feels even better during the day, especially if its raining really heavy outside and you can just close your eyes and listen to the soothing patter of the raindrops on the window....Ahhhh bliss! I'm not lazy, far from it...It all boils down to my flying days when I used to be a longhaul Flight Attendant and sleep was sooo precious! It has been 10 years this year that I gave up my 'wings' but those memories of working long hours through the night when everyone else was sleeping and constantly being jetlagged have stayed with me! I do need between 6-8 hrs sleep at night for me to feel my best but due to the demands of normal life I do often get by on less. 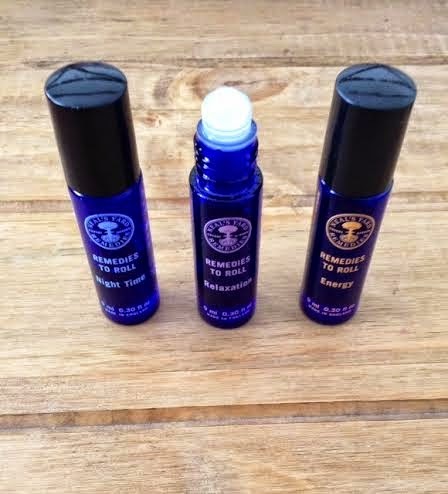 That is why I love this product by Neal's Yard from their Remedies to Roll range (below) so much. Just before I go to bed, I roll the 'Night Time' remedy on to my pulse points. It contains a blend of essential oils (soothing chamomile, balancing lavender, relaxing neroli and delicate and fragrant rose) that really help me to wind down and get my mind and body ready for sleep. I just have the 3 above on my bedside table and sometimes slip the 'Energy' one into my work bag ready for that afternoon slump when I usually need a pick me up. Just a few dabs on my wrist and behind my ears - enough for me to smell the aroma does the trick. 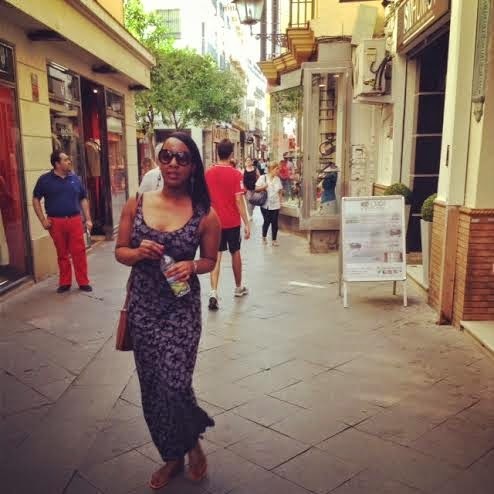 Last week, I used 'Energy' again whilst strolling around the streets of Seville - ideal for when you have a jam packed day full of walking and sight-seeing (below). They absorb really quickly, so do not leave any greasy oily residue, which is brilliant too. How do you relax and wind down after a busy, hectic day? What's your tips? Do get in touch and let me know. It’s amazing how our bodies respond to routines and habits. I always make an effort to go to bed at the same time every night and waking up at the same time every morning, that means i'm training my body to follow these cues and sleep more efficiently. Getting a great night of sleep is super important to me.